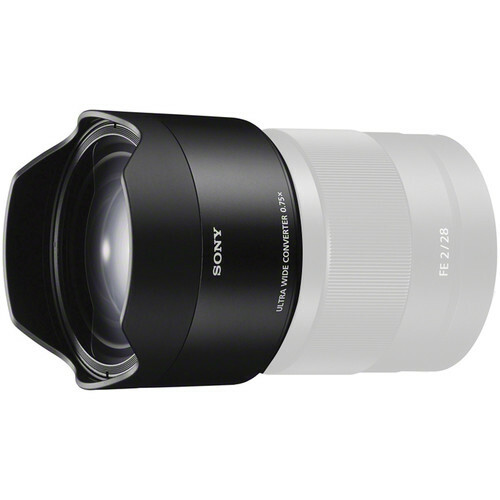 The 21mm Ultra-Wide Conversion Lens for FE 28mm f/2 Lens from Sony broadens the angle-of-view of the 28mm f/2 lens to 92º for an ultra wide focal length equivalence of 21mm when used with full-frame cameras. 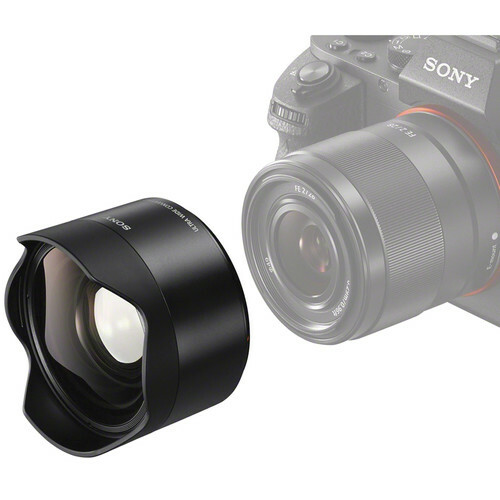 As this converter lens is uniquely compatible with the FE 28mm f/2 lens, it transmits EXIF data through the host lens to the camera. 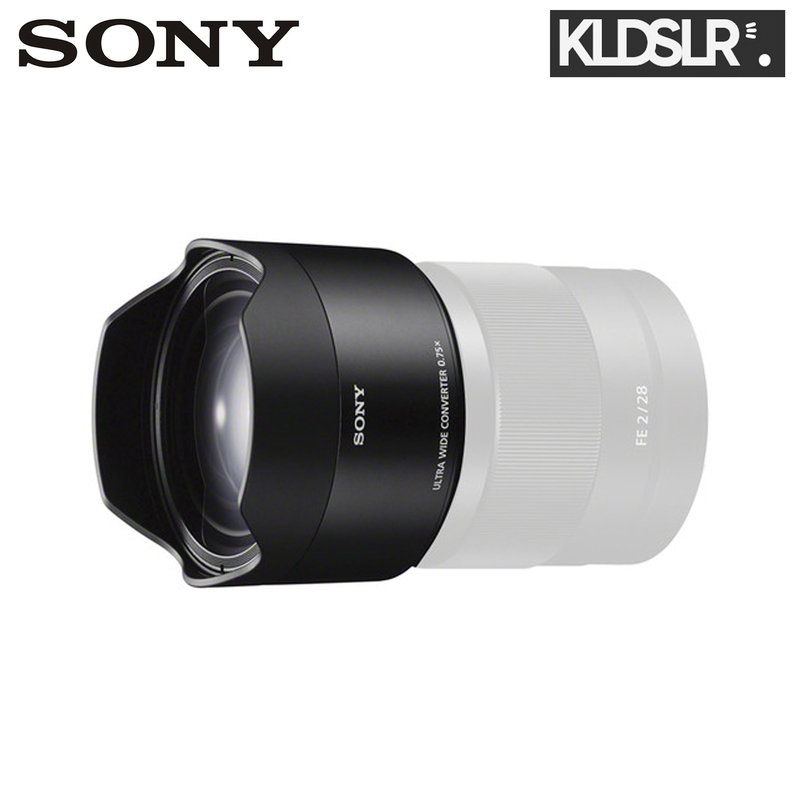 The optical design of the converter lens is comprised of 4 elements in 4 groups and when on the 28mm lens, it provides a maximum aperture of f/2.8 and a minimum manual focus distance of 7.9". 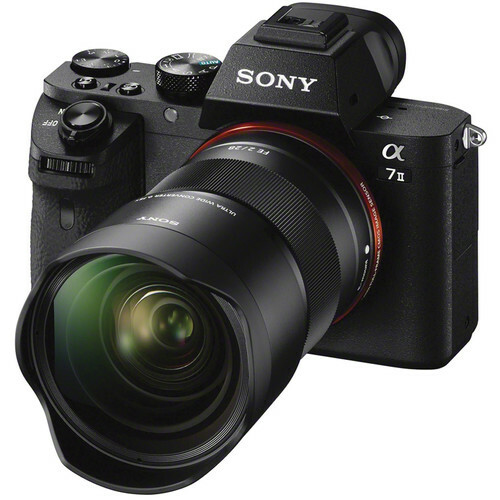 When the lens is used with an APS-C E-Mount camera, the converter lens provides a 68° angle of view and a 31.5mm focal length equivalent. 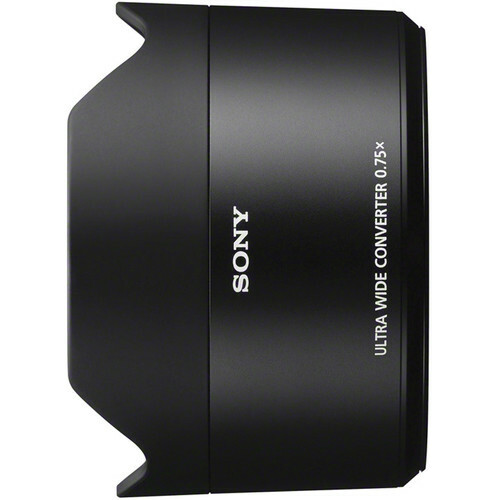 It is a compact addition to the 28mm lens with a bayonet mount and features a built-in petal-type lens hood.